SO Modloader and forge are compatible together? correct. However you don't install Modloader with Forge. Forge has its own Modloader called FML which is included with the install of Forge Universal. Although, i don't like the idea of reaping souls with scythes, as they are rather simple, i think to balance it out you should only be able to reap souls with the living metal scythe, and you get souls to use the living metal scythe through soulsand or something, Scyt hes should instead yeild 2X items from farming. But it just bothers me, thats all, good luck with the mod! This is a total ****ing ripe off from kirwis death scythe mod that he worked hard on take this down NOW!!!! As for farming with plants... I have an idea for this one. The major deal with this mod is based on a new Farming system. Minecraft allows you to farm the land with a Hoe. Harken Scythe allows you to farm the living with a scythe. Each is a tool and both should be as useful as the next. Scythes take 2 durability damage * 3 durability damage per Bonus Harvest. Soon a Harvest Moon Event will be added. During a full moon reaps yield x2 souls -OR- New rare souls (red in color) will drop during this event. These rare soul will be for crafting even better items. (and soon taste even more delicious then normal souls). Also under developement is the Soulsteal Enchant. This will allow you to reap souls with other weapons. Placing a weapon in the Soul Altar + 50 souls yeilds the Enchant. Soulsteal can't be stacked with other Enchants. (this one is still loosely based, making sure its not Overpowered). Soulsand has 2 uses with the next upcoming update. 1. Can be made into Spectral Glass. Its unique ability is secret atm , But I promise you its quite useful! 2. Soulsand can be directly added to Soul Crucibles. Every 5 = 5 souls. (just like Souls from reaps). Added note: You can craft Soulsand from Sand using the Soul Altar. Cost 10 souls. (The cost is to promote Nether travel, however its possible to acquire Soulsand w/o leaving Overworld. The two mods only share scythe recipes (layout, not materials), other then that....... nothing. Thanks, but some of my mods are risugami's modloader reliant. Well, here's my side of the spotlight. And your not a creeper! The Necronomicon should have some special features, like using souls as an ammo for some sort of attack? Big plans with the Necronomicon , Firstly it will be used vocally(Holding right click) while standing close to an Summoning Altar. The summoning Altar will sorta be like the ender frame block, you place "Idea 1" / "Idea 2" into the open slot. Once the Summoning Altar is Primed you "Summon" with the Necronomicon in hand to spawn a friendly mob. Friendly mobs will be zombies, skele, pigs, chickens, ect that will act much like wolves. Protecting the caster while it lives. Idea 1: Place a Completely full Soulkeeper into the Summon Altar to power it, after the summon is finished Right click to retrieve empty Soulkeeper. Idea 2: Place a rare soul (gained from Harvest Moon Events, Bosses, and PvP) into the Summon Altar to prime it. After the summon is finished the soul is consumed and a full Soulkeeper is drained in players inventory. Over all, this should allow more abilities with the Necronomicon, allow players to build armies, and over all add more complexity to the Harken Scythe. [media]http://youtu.be/H0mr3QcOM_M[/media] Well, here's my side of the spotlight. And your not a creeper! New Scythe Feature: Harvesting Reed and Crops with a scythe rewards player with more produce!! If powered Spectral Glass will solidify even during the day. New way to obtain Souls: Soulsandx5 + Soul Crucible = 5 souls. Soulsand can be placed directly into the Crucible to reward 5 Captured Souls per 5 Soulsand. Souls are edible: Placing a random potion effect (good and bad) on the player. Take care tho, eating souls only leads hungering for more souls!. Soulfood cake now tastes more delicious!!! Restores 3 hunger, up from 1/12. Hi, awesome mod but... I have stupid question can you make it, compatible with 1.2.5. I know it's stupid but i'm making mod pack and due to Thaumcraft i must use only 1.2.5 mods. Sorry no chance of a 1.2.5 version. Many of the features are solely available due to Forge's new 1.3.1/1.3.2 layout. That would be most welcomed Hoping to get some more meaty Content in soon enough, time to hit the books on Mob Entity Creation. Also to find ways of making mobs stronger for the Harvest Moon Event. (Need to think of a catchy Name for this Event). I'm a huge fan of this Mod. I really like the texture of the scythes as well. Really interesting and cool idea. Can't wait to future content to be added! 1.4.2 Update!!! 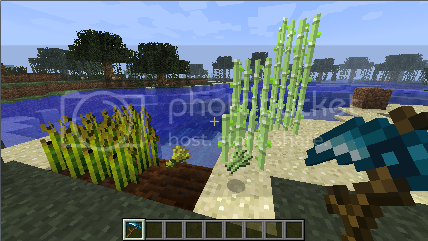 Harken Scythe is fully updated to Minecraft 1.4.2. Please download the newest version of Forge to play. Ethereal Amulet crafting recipe has been adjusted with the new update. Crafted with Nether Stars rather then Ghast Tears.